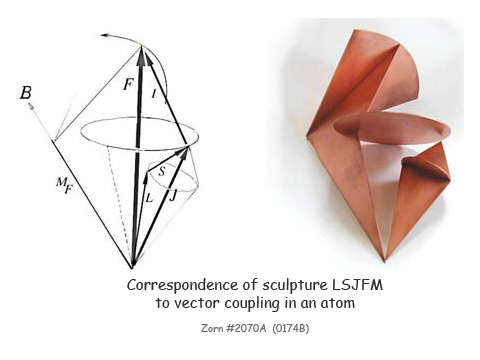 The incorporation of nuclear spin to explain hyperfine structure made the vector model particularly useful when the range of spectroscopy broadened to include microwaves and radiofrequencies. 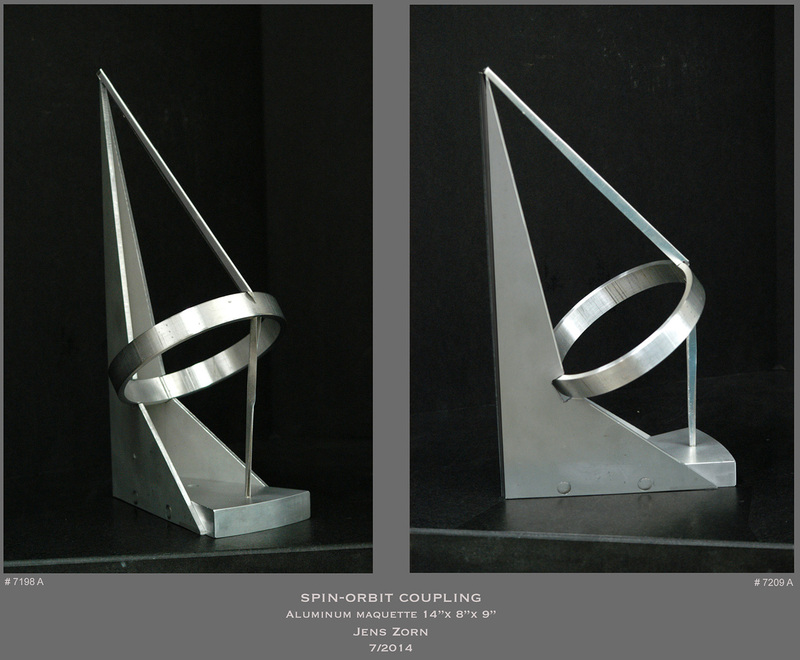 The bronze sculpture LSJFM represents a vector model in which the coupling of orbital and spin angular momenta of an electron forms a net electronic angular momentum that, in turn, couples to the nuclear spin to yield an overall atomic angular momentum. 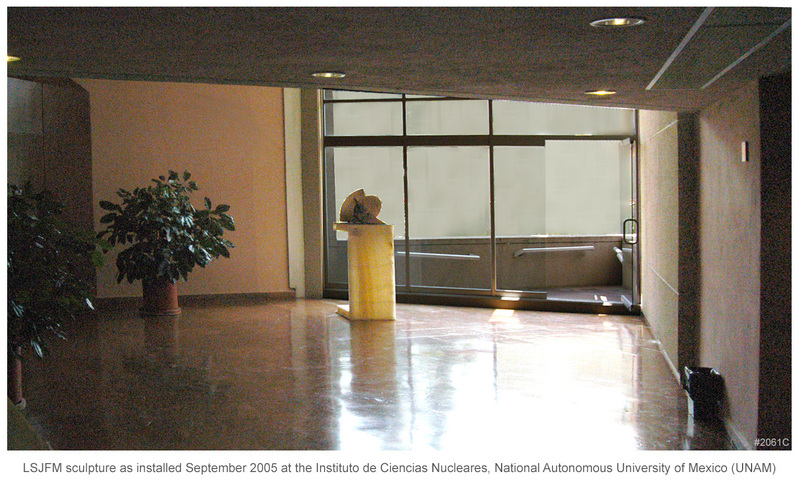 The sculpture is installed at the Institute for Nuclear Studies at the National Autonomous University of Mexico in Mexico City to honor the achievements of Virgilio Beltrán-Lopez. (1932-2000). His thesis research that set limits on diurnal variations in magnetic resonance spectra is famous for showing that inertial mass is anisotropic to within 1 part in 1022. Beltrán then went on to establish an ambitious program of experiments and theory in atomic magnetism, and this, combined with his lasting contributions to science education, made him one of the leading physicists of Mexico. 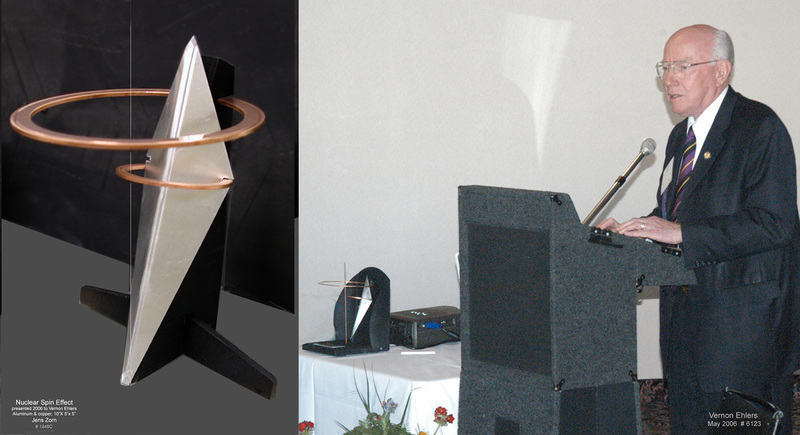 Vernon Ehlers earned his PhD in nuclear physics from the University of California, Berkeley in 1960 with his atomic beam measurements of the spins and magnetic moments of radioactive gallium isotopes. 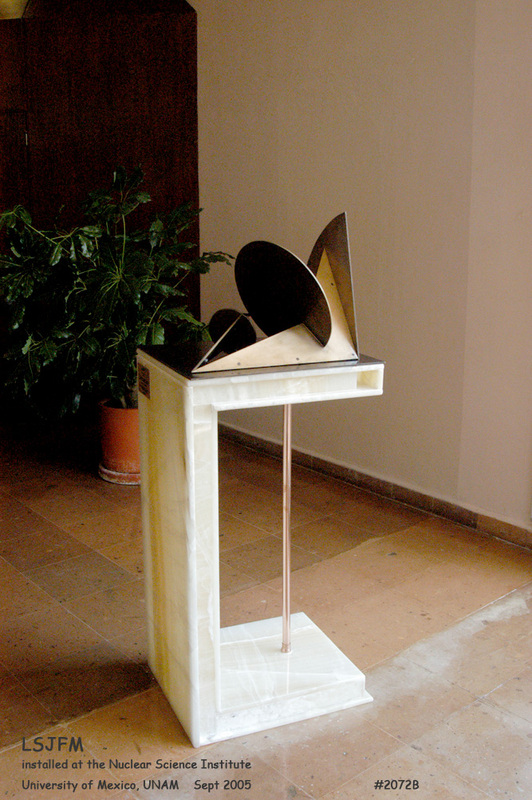 After six years on the faculty of UC Berkeley he taught for sixteen years at Calvin College in Grand Rapids, Michigan. 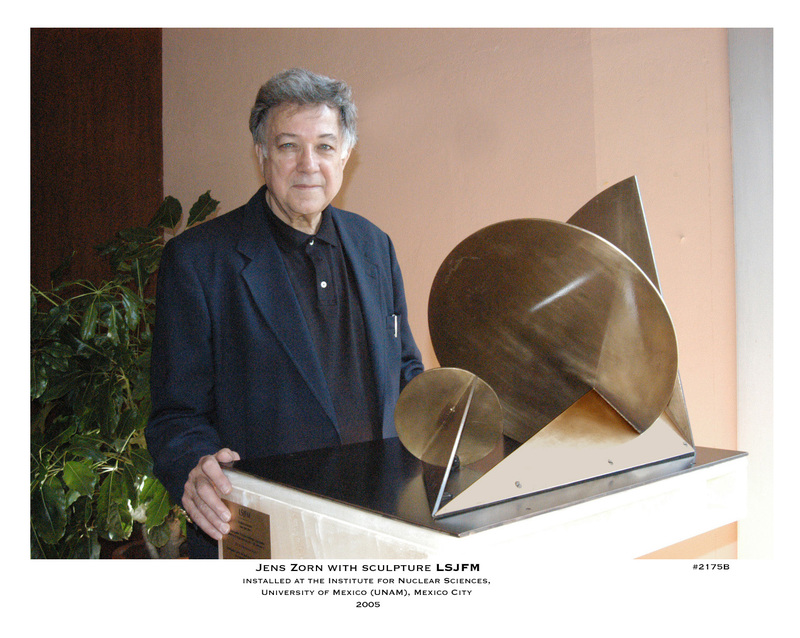 He served for eleven years on the Michigan state legislature and in 1993 was elected to the US Congress where he served with distinction until his retirement in 2011, In 2006 the Michigan Environmental Council presented Ehlers with the Milliken distinguished service award, this accompanied by a sculpture reminiscent not only of his early work in nuclear physics but also of his understanding of the influence that spin has on the motion of legislative affairs.